our client is a revolutionary healthcare MNC Company specialising in Diabetes Care. They are looking for an Accountant to join their team. This individual will be reporting directly to the Head of Finance. Work with Finance Shared Services based in India and make sure all invoices scanned, saved in the shared folder and properly log in the shared drive. Hands on experience in day to day accounting functions such as financial accounting of AP, AR, Fixed Assets & GL and able to handle full set of accounts. Verification and processing of supplier invoices, accounting entries, purchasing order preparation and distribution, intercompany billing, reconciliations etc. Verification & processing of staff claims and posting entries. Perform debtor, creditor and various reconciliations. Prepare and analyse AR aging and work with Sales Manager and Credit & collection department. Prepare remittances and cheque payment to suppliers and local authorities (for urgent cases only). Process credit application received from Operations Team. Prepare project man-day cost for submission to management (branch reporting). Support in closing and reporting as per dateline sets. Involve in interim and year-end audit. Support in periodically analysis and annual budget. Support in tax schedules, filing and payment (Corporate, Withholding, and GST etc.). Highlight to superior on internal control issue and recommend for improvement. Highlight and support on relevant local compliances. Liaise with other departments, suppliers, auditors, bankers and etc. Handle any ad-hoc assignments as and when required. Degree in Accounting and/ or and recognised Professional Accounting Qualification. Minimum 3 years of relevant work experiences and extensive hands-on experience in QuickBooks; SAP (FI) would be an advantage. Proficient in MS Office (Excel, Word, Power Point). Exposure in MNC accounting, working knowledge of full set of account, reconciliations and reporting. Exposure in audit, analysis, internal control review, dealing with various currencies/ revaluation would be an advantage. Possess analytical skills and confidentiality. Meticulous and able to meet tight datelines and handle work pressure. Ensure accuracy, completeness, timeliness and data integrity of all financial data. Good communications and writing skills. Pleasant personality, possess initiative and able to multi-task. Independent, highly committed, quick learner and possess good working attitude. The organization values its employees as its best assets and offers competitive benefits and compensation package. There is a strong level of trust and the management continuously strives to provide an environment for people to enhance both their professional and personal growth. To apply online, please click on the appropriate link. 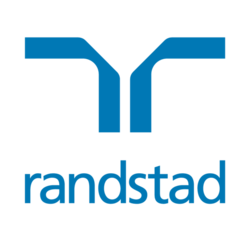 Alternatively, please contact Pamela Pillai on pamela.pillai@randstad.com.my or 03-20367589. Please note that only shortlisted candidates will be contacted.